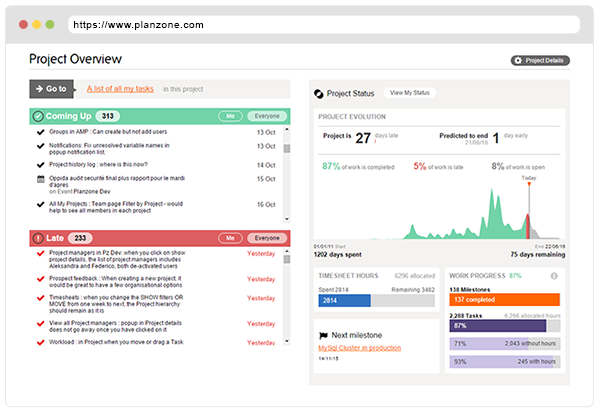 For two years our developement team has been working on a new version of Planzone, taking into consideration the feedback we have had from more than 15'000 users we have tailored our product to address the most important issue – productivity ! Here’s a quick explanation of how we have done it. Usability is paramount in professional applications. Sleek design appeals to users, they understand it better and are likely to use it more. The talented UX Designer, Lander Muruaga, (who has worked with HP and Vueling) is the genius behind our sleek new version, his idea was clear ; create a user experience both engaging and easy to use. The most remarkable change has been substituting the rather garish orange and blue for more subtle tones, each tone depicting something specific. The underlying architecture of Planzone has also changed: it is now very easy to navigate between screens and view only the information you need by selecting from the many, varied options. Accompanying the re-design of the layout we have given users a way to always know where they are in their work. For each different screen several layers of filters and sorts are available : for example you can choose to view your work as a list of tasks, events or milestones ; your can sort it by end date, deadline, priority or you can filter a list by keywords or user. The possibilities are endless - and can be applied to the project schedule, its resources, the calendar or documents. 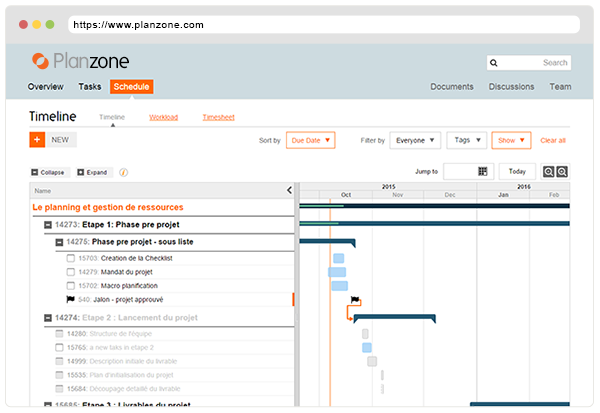 The Schedule with the Gantt chart is an essential tool for managers and project managers and is THE most popular feature in Planzone. In our new version we have made it a stand-out feature ! Now, the schedule is automatically updated according to the progress of your work, no need to fill in the percentage completed. And, with a simple drag-and-drop you can also create dependencies and constraints between tasks.